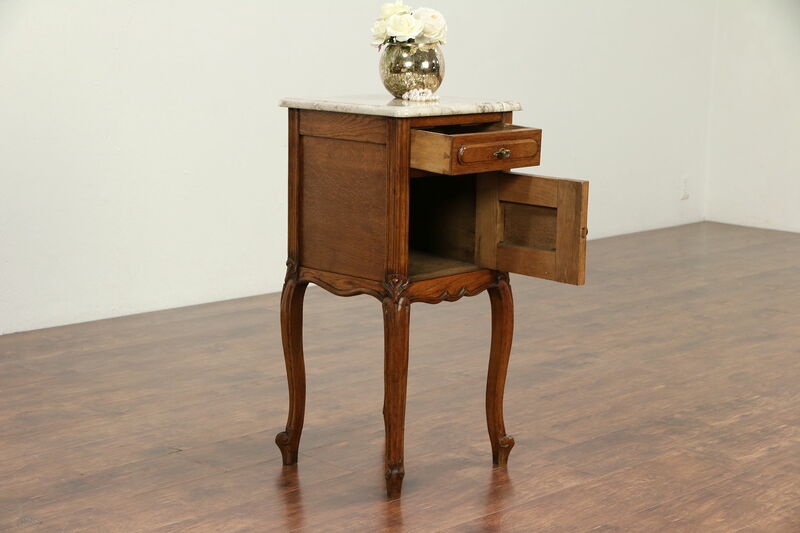 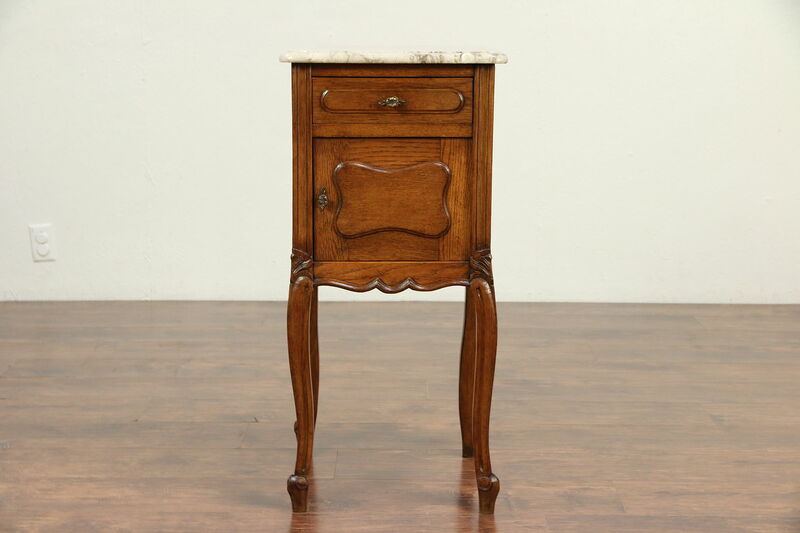 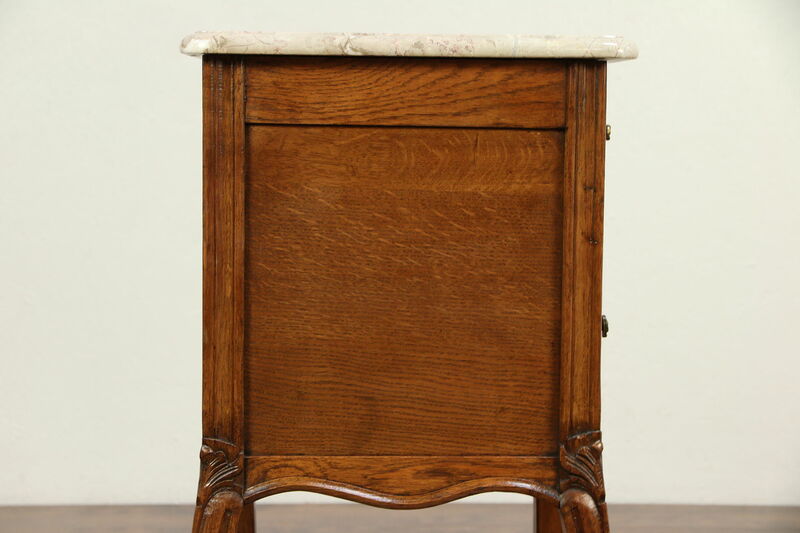 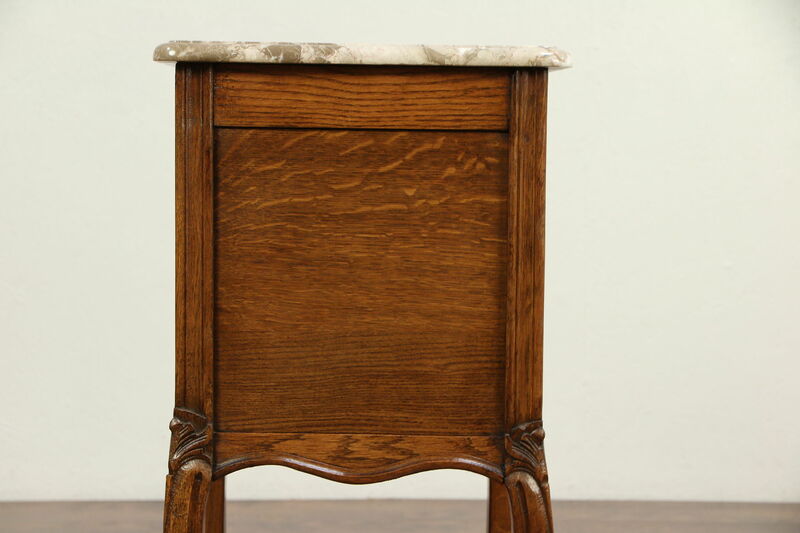 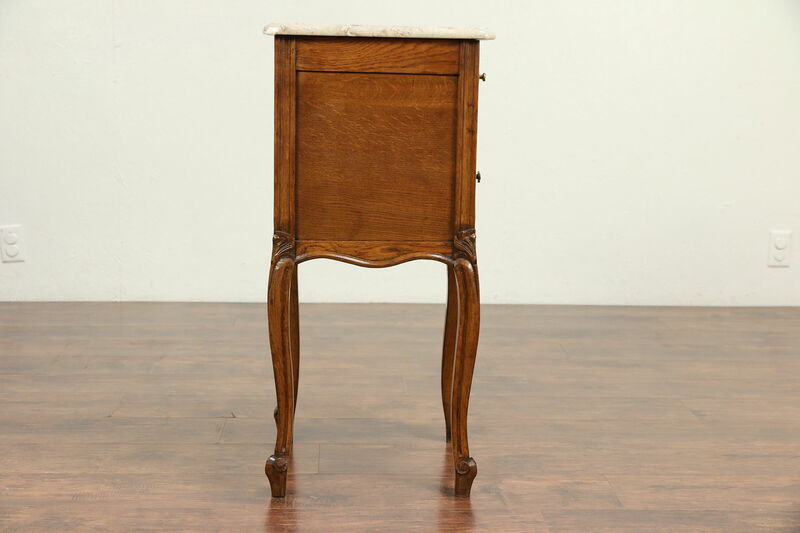 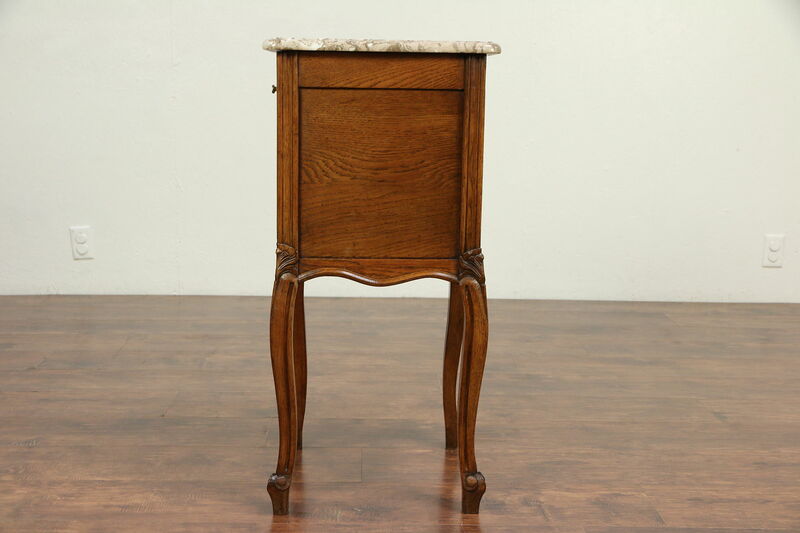 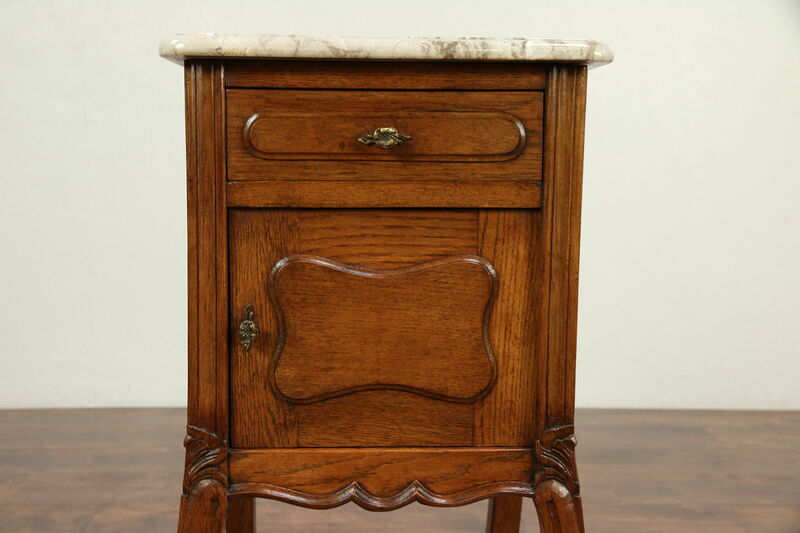 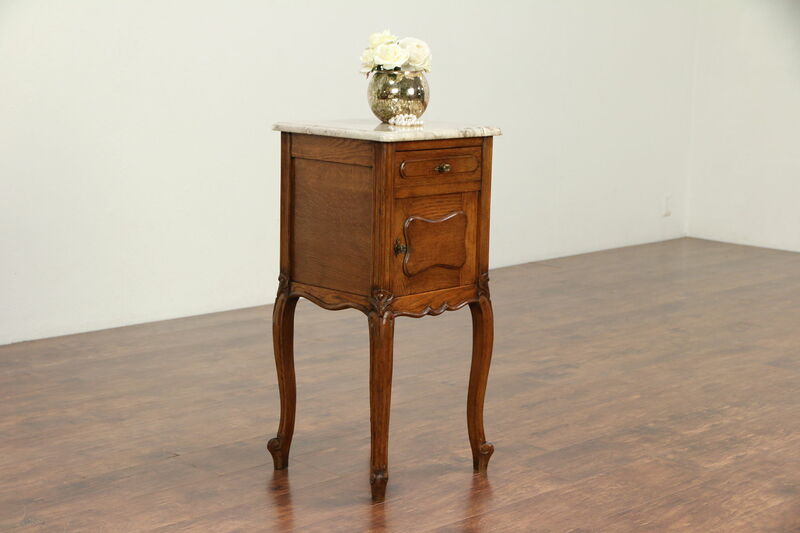 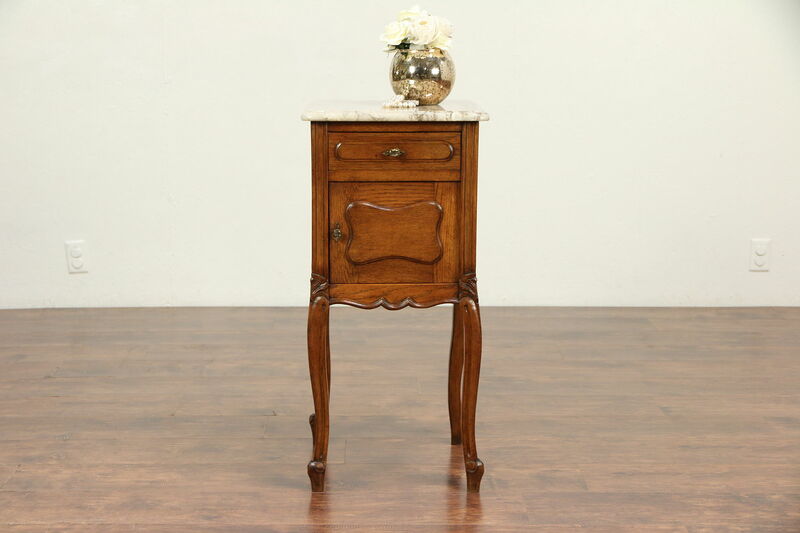 Hand carved of solid oak about 1895 in France, this nightstand has a marble top. 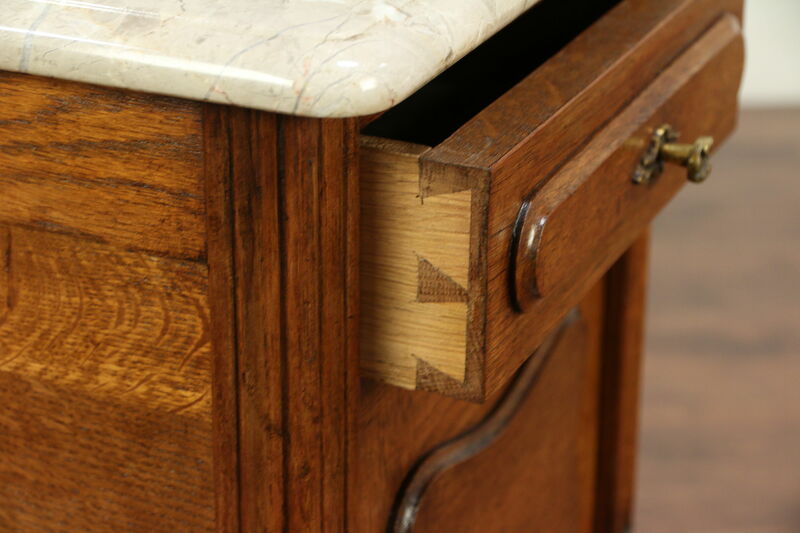 Brass hardware is original. 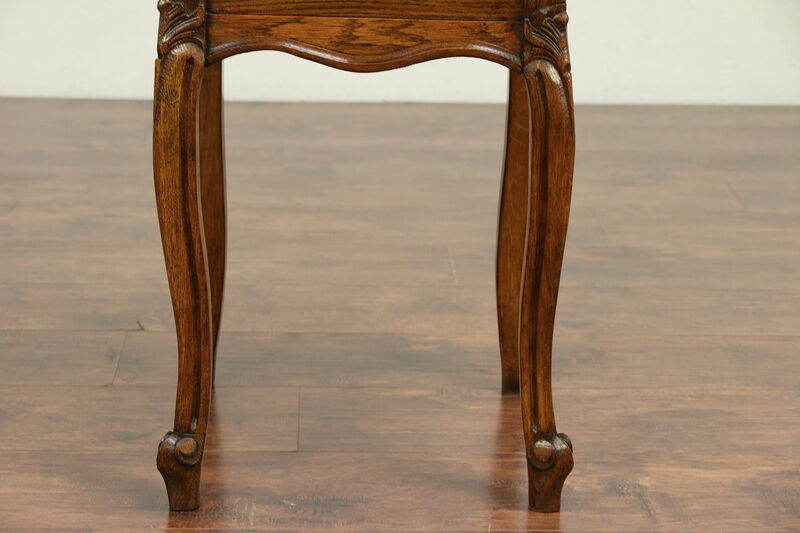 The original finish is very well preserved, and has been waxed and buffed so all that is needed to maintain its luster is an occasional wipe with a soft dry cloth. 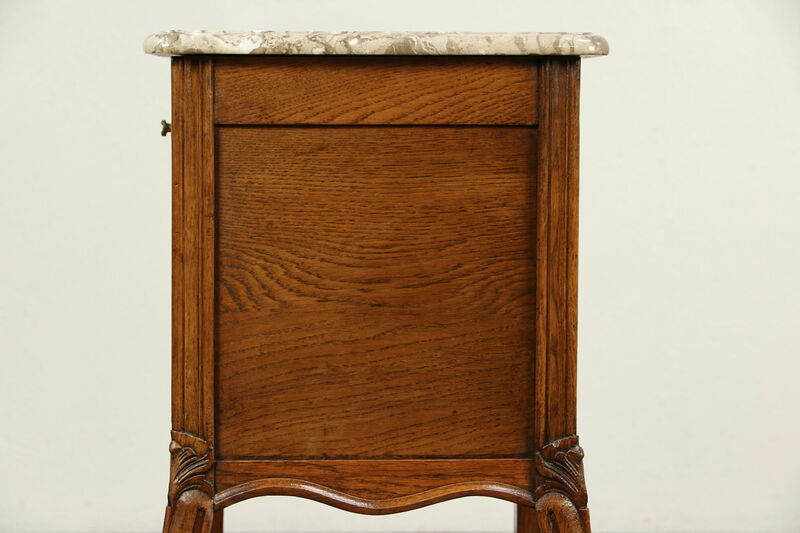 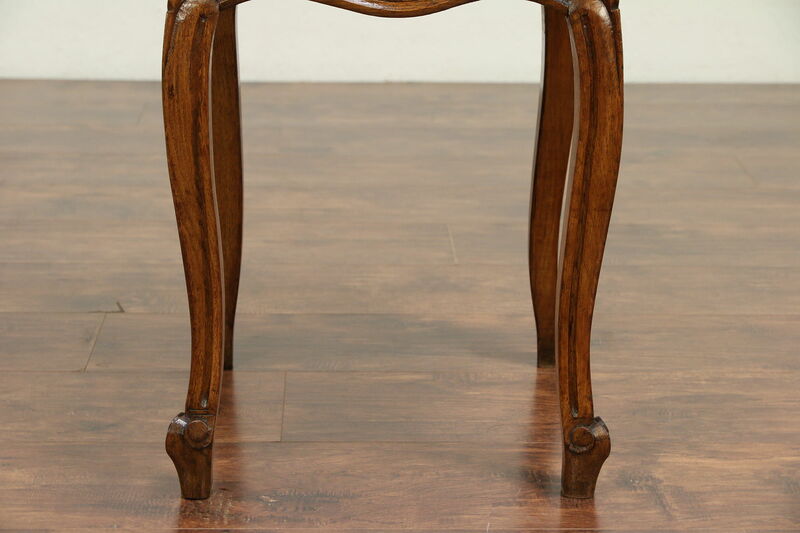 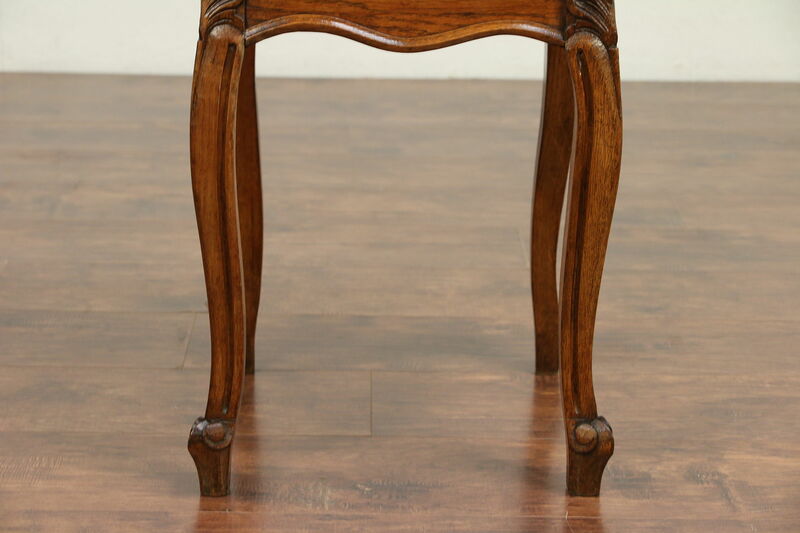 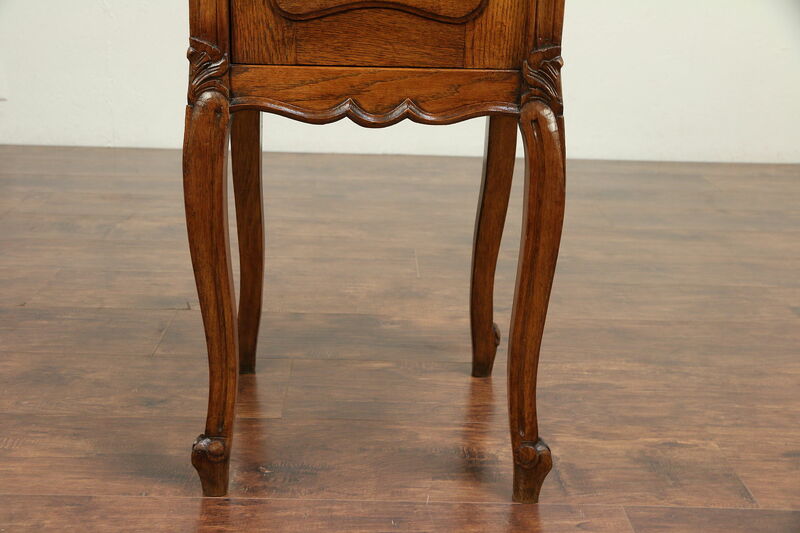 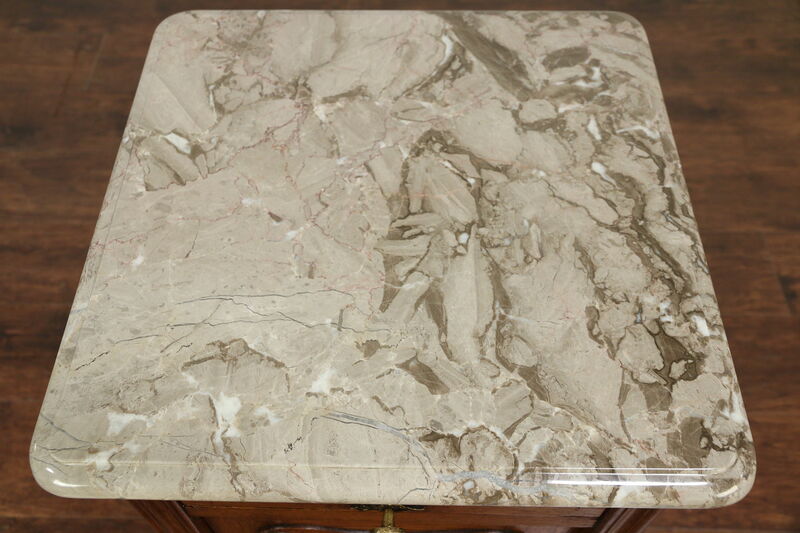 The marble has been polished and given a protective finish on this antique furniture. 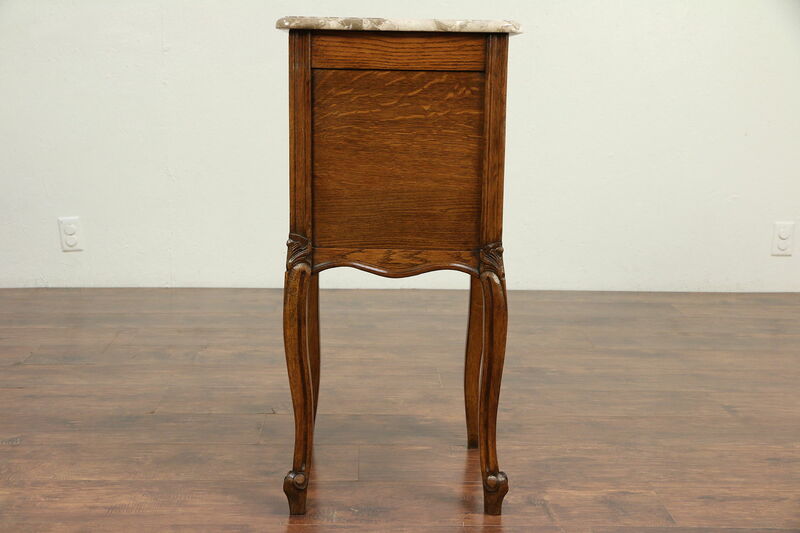 Size is 16" square and 33" tall.